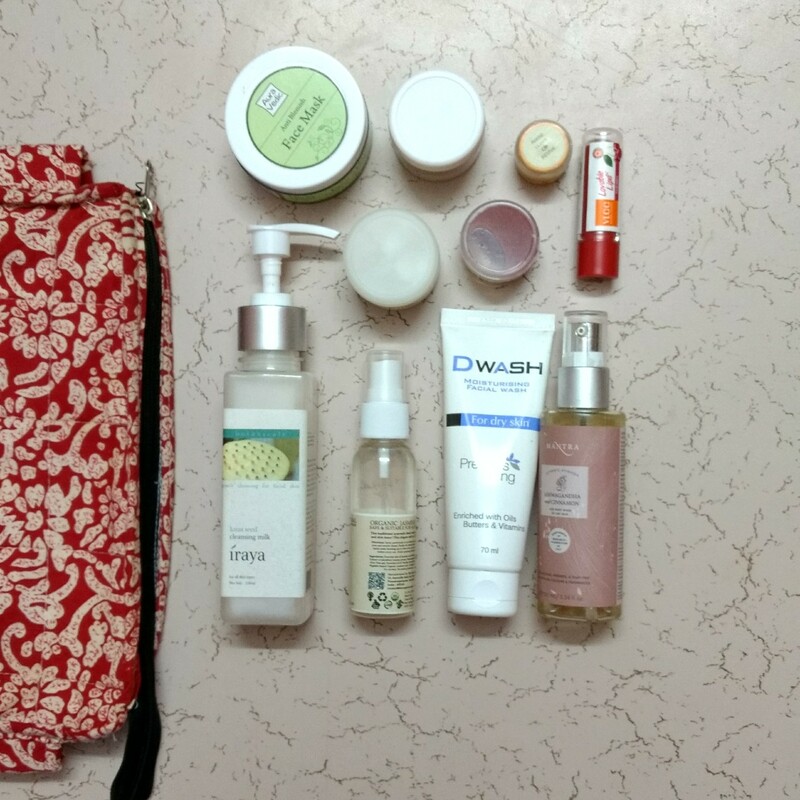 Bon Organics, Iraya, review, skincare, What to carry in travel skincare, What's in my Travel Skincare bag? I have been MIA since last week as I am travelling and will continue to travel till mid Match. But I thought of updating the blog since I have many pending posts. Also I will continue commenting on your blog posts as and when I get time. So coming back to the post I wanted to share this post from a long time. 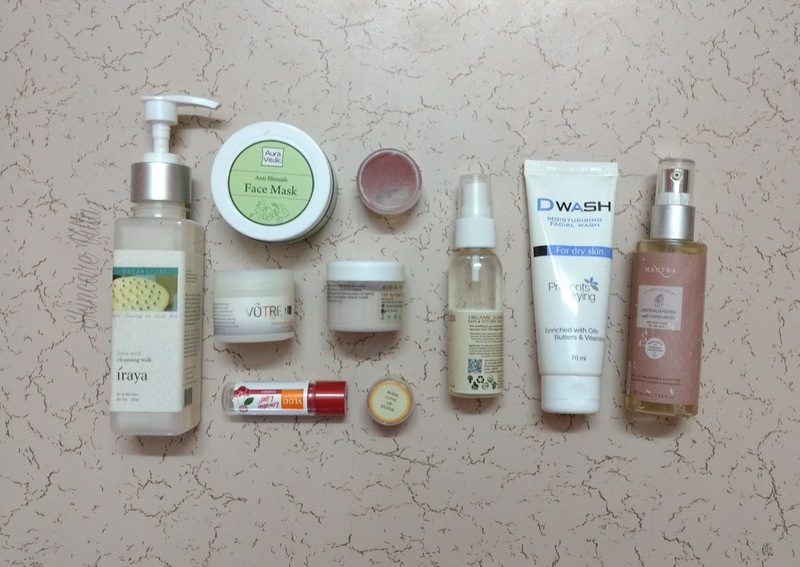 After becoming a skincare fanatic a lot of things I carry have changed and so I think this is the right time to share the post. So let's see what all I have in my bag. In Bangalore my skin was very flaky, so I carried this facewash, and my skin turned normal once I reached Pune. So I plan to use this facewash until I empty it. Long back I ditched toners and my skin is totally loving it. I bought Bon Organics Jasmine water which was a part of my haul this Valentine's. I enjoy using this Jasmine water with the onset of summer because as and when I sweat the skin exudes a hint of Jasmine which is very refreshing. Another new favorite and a sure shot repurchase. However the pump packaging makes it a bit non travel friendly, still I carried it. The Cleansing milk gets absorbed like a charm and leaves the skin clean and fresh. I carried this travel size moisturiser with me and skipped carrying separate day and night cream. Also I want to empty it, hence for some 25 day travel plan this seemed appropriate. During travelling I rarely get breakouts, still I thought of carrying my hg face mask. Now I am thankful of my own decision as I have some small bumps on my face due to weather changes during travel. The bulky packaging of TBS British Rose Body Scrub is a big problem. I regularly use this scrub as a face scrub. I thought of carrying around some quantity in an empty container of The Nature's Co Bearberry Liquorice cream. The scrub is very effective and I will soon review the product. Another favourite and a must have for me no matter where I am. The massage cream moisturises, nourishes the facial skin while imparting a glow and reducing the blemishes. Full review will be up soon, so stay tuned for this. With the weather changing I knew my lips would suffer the most, so am carrying this sure shot winner from Ida Naturals which not only moisturises the lips but also heals and revives them. I am carrying this lip balm for a special occasion, but the plans were changed at the last moment. However I just love using tinted lip balms, hence this is in my bag. A good body wash with a spicy fragrance and great cleansing. I am carrying this body wash as it's on my empties list. I will post a full review of this soon. Apart from these I carried doctor cotton, Kronokare Provincial Lavender body lotion and blackhead extractor in my bag. Apart from these I also carried the Bon Organics Aloe Shampoo, Iraya Keshvardhak taila, Rosemary Essential oil and Figaro Olive oil with me. Also some things I regret for not carrying around is Himalaya Herbals foot cream and Iraya Almond Nutrifying skin food. 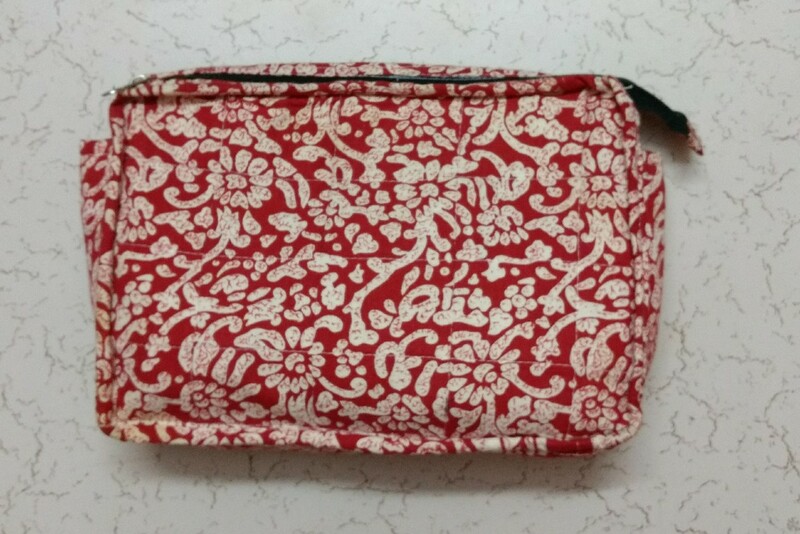 BTW, the bag you see in the image is stitched by my Mom and I have already told her to stitch another one. She has stitched it with sponge inside so usually glass packaging products can be safe. So this is all what I am carrying in my bag. 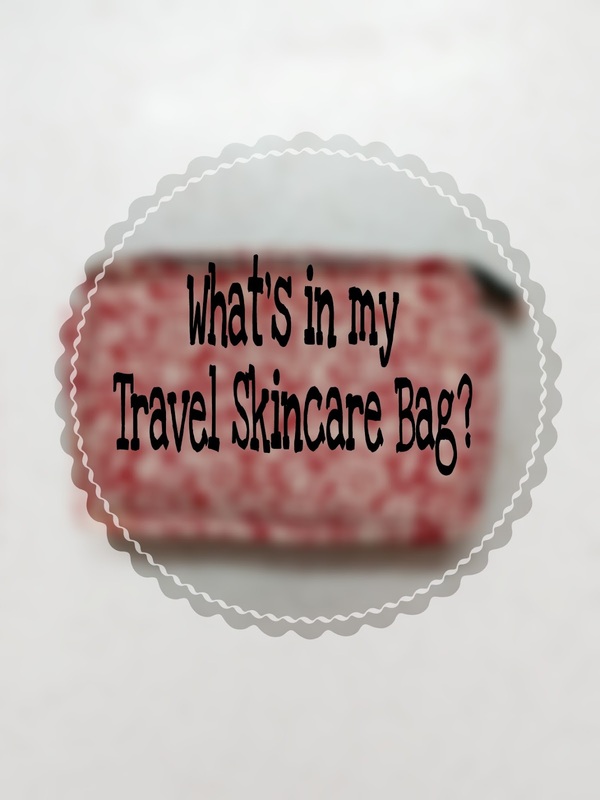 What all do you carry in your travel skincare bag?